India's first private space company is working toward opening up the space ecosystem for common people within the next 10 years. TeamIndus is India's first private space startup and one of the final four teams in the race to the Moon as part of the Google Lunar XPRIZE competition. Google, who was one of the main sponsors of the event, announced recently it was pulling out of the competition to land on the Moon, and with its exit, the "Lunar XPRIZE" has decided to move on as a non-cash competition. TeamIndus' original launch partner, along with the Japanese Team Hakuto, was the Indian Space Research Organisation (ISRO). It is, however, not clear at this point if the company will continue to use ISRO as its launch provider. International Business Times, India, reached out to TeamIndus to ask them what its plans were now that Google has pulled down and what it will do with the lunar probe and rover it has already built. 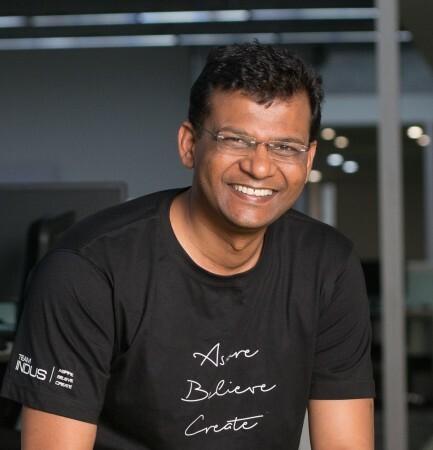 Here are excerpts from that interview with TeamIndus Founder and CEO Rahul Narayan. Now that Google has pulled out as the sponsor of the event, will you continue with the project? Over the course of seven years [the competition was started in 2007], we have successfully completed qualification tests of our Spacecraft and rover — ECA [short for Ek Chhoti si Asha]. The Google Lunar XPRIZE was the catalyst to get us started on this journey. Our engineering is derived from first principles giving us total control over our Spacecraft and the mission. At this point, we can put together our flight-ready spacecraft in less than six months. We will be ready to launch once the new launch provider is finalized. It is a logical progression for us to now continue in the space domain. At some point in the next 10 years space will become a destination that common people will have access to. We believe TeamIndus will have an important role to play in that upcoming private space ecosystem. We continue to enhance our capabilities and build capacity that will enable us to get to the moon multiple times over the next 5 years. In the process, we will send back amazing scientific data from beyond the Earth's orbit. What kind of setbacks or challenges are you expecting going forward with this build? While we have worked through several challenges, we understand there are a few sections where regulatory compliance needs to be completed. Fundraising remains an area of concern. We believe we have a reasonable handle on our partner network, engineering and product roadmap. Have the competition requirements been updated or will they be the same? If you do end up launching a lunar probe, what are your future plans? Space is a global industry and we expect to work with the best customers, partners, investors as we build towards our longer-term vision of enabling sustainable space exploration. Our strategy will help us address affordability, reliability and repeatability concerns associated with the space industry – allowing newer applications, newer players to be part of the space economy. Is moon-mining something that your company would be interested in? Sustainable Space exploration will require ISRU (in situ resource utilization) at an unprecedented scale. While we are carrying out small experiments to demonstrate this on our first few flights, we at this point are focused on optimizing our delivery capabilities. When is the next possible launch date you are aiming for? We expect to launch early 2019. However, we will have firm dates once we finalize the launch provider.